New Delhi: Housing sales fell 6 per cent in Delhi-NCR last year, lowest since 2010, at 37,653 units while prices fell by 2 per cent due to demand slowdown and impact of new realty law RERA and GST, according to property consultant Knight Frank India. The launches of new homes in Delhi-NCR declined by 56 per cent to 11,726 units in 2017, which resulted in fall in number of unsold inventories by 13 per cent to 1,66,831 units. 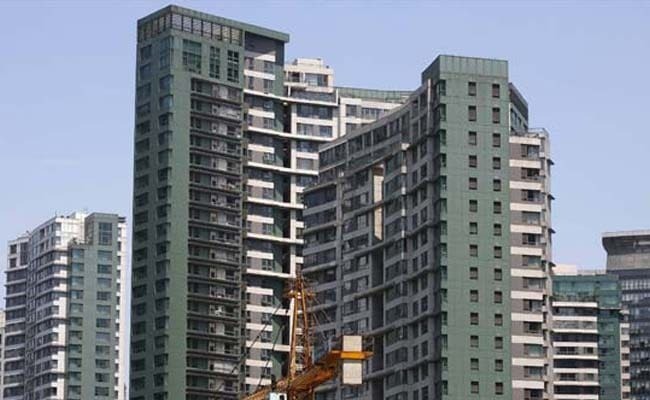 Housing sales and launches stood at 40,005 units and 26,734 units, respectively. “The year 2017 brought no cheer to the NCR residential market as launches and sales dwindled further due to slow sales velocity and policy initiatives such as Real Estate (Regulation and Development) Act, 2016 and the Goods and Services Tax (GST),” Knight Frank India Executive Director – North Mudassir Zaidi told reporters here. The RERA came into force from May 2017, while the GST was launched in July last year. With trickling sales and sharp drop in launches, he said the unsold inventories in NCR have come down, still it would take more than four years to clear the unsold stocks. Zaidi said the average BSP (basic selling price) has come down by 2 per cent during 2017. “Affordability and deep discounts in the range of 10-15 per cent have driven majority of the sales thus hinting at NCR slowly turning into a buyers’ market,” he added. Asked about price outlook in NCR this year, Zaidi said the rate for ready to move in may firm up but prices for under construction projects will remain stable. On sales, he said it would be around 35,000-40,000 units in 2018. Zaidi said the market will recover slowly and gradually over the next 2-3 years. Knight Frank report also highlighted that the share of affordable homes among new projects rose from 53 per cent in 2016 to 83 per cent in 2017 indicating developers’ focus towards properties within Rs. 50 lakh price bracket. Sops from the Haryana government have been a key driver.